XXXTENTACION NOMINATED FOR 10 BILLBOARD MUSIC AWARDS! 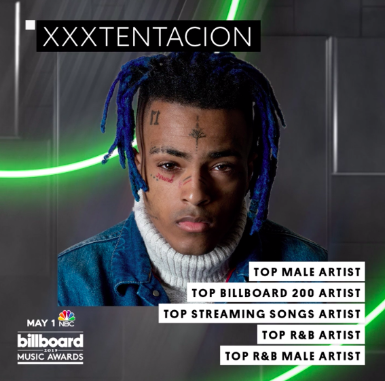 Yesterday, the chart-breaking, award-winning modern icon XXXTentacion (pronounced “Eks-Eks-Eks-Ten-Tah-See-Ohn") received 10 Billboard Music Award nominations, including Top Male Artist, Top R&B Album and Top Rap Album. He is one of this year’s top nominees, alongside Drake, Post Malone, Travis Scott and Ariana Grande. X’s nominations honor two of his albums, 17 [Bad Vibes Forever/EMPIRE] and ? [Bad Vibes Forever/Caroline], the latter of which hit No. 1 on the Billboard 200. Last year alone, 24 of X’s songs reached the Billboard Hot 100 chart, including his first No. 1, “SAD!” His albums have earned over 4.7 million equivalent album units in the U.S., according to Nielsen Music, and his songs have garnered more than 10 billion streams. See all 10 of X’s 2019 Billboard Music Award nominations below. Top Billboard 200 Album for ? 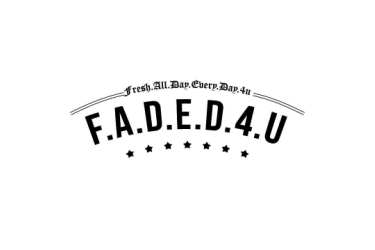 Top Rap Album for ? XXXTentacion’s estate recently celebrated the first anniversary of his sophomore album, ?, with the announcement of a special Deluxe Anniversary Edition [Bad Vibes Forever/Caroline], to be released on July 26 (subject to change). The deluxe box set–which boasts the original tracklisting, instrumentals, A GHETTO CHRISTMAS CAROL EP as well as original, never-before-heard material–is available for pre-order HERE.